She may be pushing for a super hero role, but in the mean time, Ronda Rousey has landed her next big acting gig. 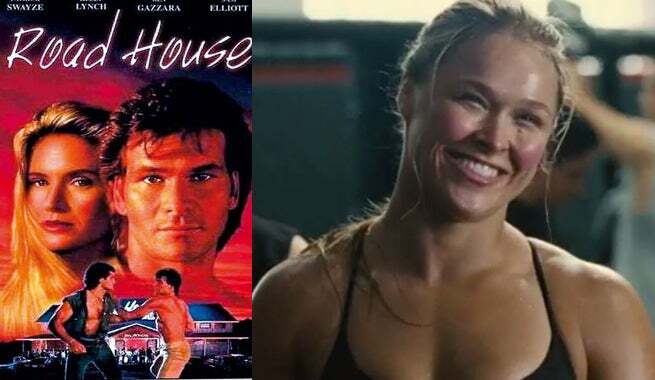 Rousey will star in the Road House reboot from MGM which will start production in 2016, according to Variety.The UFC fighter has appeared in two films this year -Entourage and Furious 7 - and had a cameo in 2014's Expendables 3. Whether or not she'll fulfill that desire to play the titular female hero in Captain Marvel is yet to be seen. The original Road House, released in 1989, starred Patrick Swayze and propelled him to fame. Variety also reports that Rousey reached out to Swayze's widowed wife, Lisa Niemi, and wants to pursue the project respectfully.